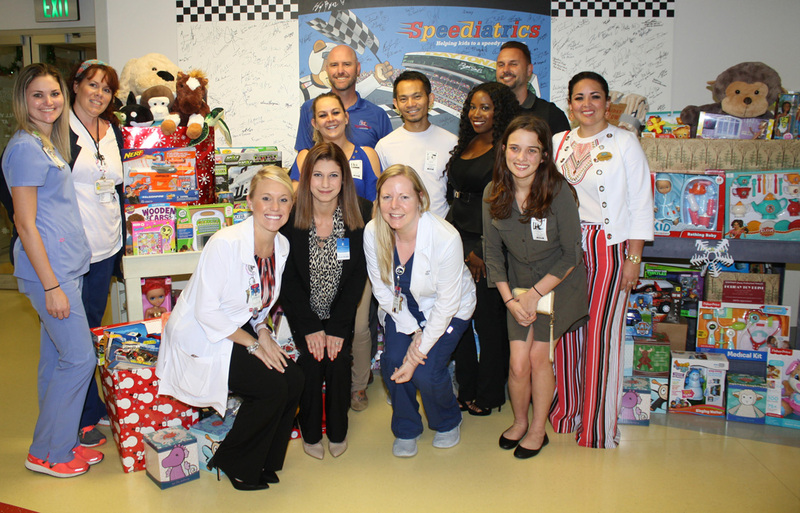 Daytona’s Realtor Young Professionals Network (YPN) will be dropping off over 250 Toys and Gifts to Halifax Hospital, 303 N Clyde Morris Blvd, Daytona Beach, on December 6th at 1pm.The goal of these young Realtors was to ensure each child and teenager in the hospital had a gift this Christmas season. Knowing that there are typically at least 100 children in Halifax Hospital each Christmas, many from underprivileged families, this small group of Realtors set an ambitious goal in November to raise over 100 Toys by mid December. They exceeded their goal by raising 280 gifts (toys and gift cards) and $500 in cash to purchase clothes for some of those children that need fresh, clean clothes when they leave the hospital. The support from the local real estate industry community was extraordinary. Through their personal and professional connections, Realtors from YPN set up Toy Drive Boxes in local businesses and Real Estate Brokerages throughout the area. On December 8th, 2017 Daytona’s Realtor YPN hosted a Holiday Party at Houligan’s in Daytona Beach with over 50 attendees bringing toys, gift cards and Toy Drive Boxes filled with toys that far surpassed their goal.